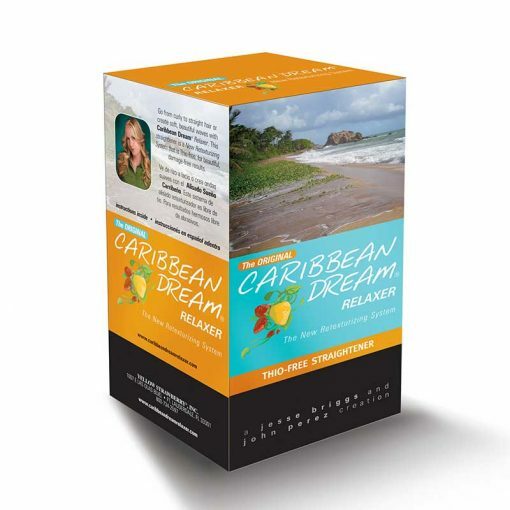 If you’re looking for a way to take your frizzy, unmanageable hair from unruly to sleek and shiny, look no further than Caribbean Dream Haircare’s Hair Relaxer 3-pack. When you order our Caribbean Dream Relaxer 3-pack, you’ll be amazed at how your own before and after pictures. Not only are our products effective for almost all kinds of curly, wavy, or frizzy hair, they’re also incredibly safe and gentle when compared to so many other relaxing products out there. If you’re ready to try a hair relaxing treatment that can give you the soft, shiny, and straight hair that you’ve always wanted, order your own hair relaxing kit today from Caribbean Dream Haircare!